With the precious month of Ramadan upon us, it benefits us to try our best to memorise the Qur’an. During Ramadan when everyone is trying to maximise their good deeds, we can benefit immensely from the repetitive nature of Qur’an. Memorising one verse is equal to the memorisation of 31 or 5 verses in some cases. During Ramadan when the reward of every good deed is with Allah alone, we can dedicate just 15 to 25 minutes, and end up memorising more than 70 verses of the Qur’an. However, we can be one step ahead of the race to win Allah’s pleasure by starting early and making a conscious effort to start memorising now. 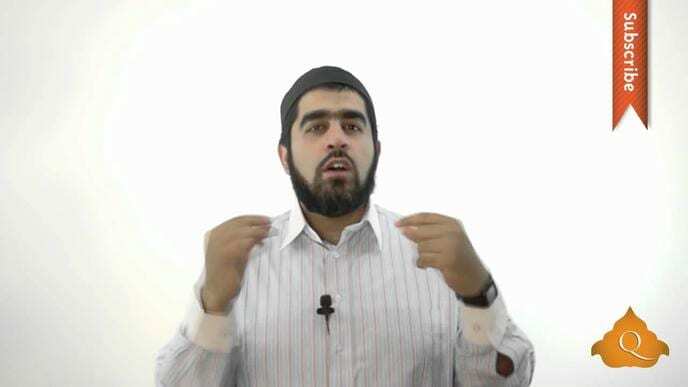 But first, let’s understand the nature of the Qur’an. So, why does the Qur’an repeat itself? Before we understand the repetitive nature of Qur’an, let us understand ourselves. Qur’an calls us ‘insaan’. Linguistically speaking, “Insaan” comes from the root word ‘nisyân’ which means ‘to forget’. The second one is ‘unsiyah’, which means ‘to relate, to love-be loved, to become close to’. Ibn Abbas said that al-insân is called so because of his forgetfulness. Our very name tells us about our nature, we are a forgetful lot. The things that are hardest to internalise are the things that are mentioned most in the Qur’an. Taqwa (righteousness, piety, goodness) of Allah is repeatedly mentioned because it is something we tend to forget the most in this world that constantly bombards us with materialism. Below are 10 verses from the Qur’an that we will often encounter. Let us memorise and extract guidance from them [all transliterations are from Quran.com]. In the last 2 days of Ramadan, ensure that your ranks in jannah are raised 71 times, In sha Allah! Spiritual gifts e.g. insight into good and evil, understanding of men, the captivity of love, etc. We are to use all bounties in humility and moderation. We need to share them with for the well-being of others. We are to be neither ascetics nor luxurious sybarites, neither selfish misers nor thoughtless prodigals. The right use of bounties will, In sha Allah, lead to an increase future bounties. Believers receive blessings because they submit to Allah’s will. They will do well in this life (from the highest standpoint) and they will reach their true goal in the future, In sha Allah. Huruf-e-muqatta’at – the disjointed letters. A large number of scholarly books have been written over the centuries on the possible meanings and the probable significance of these disjointed letters – the muqatta’at. Opinions have been numerous but without a final conclusion. There is no reliable report of Prophet Muhammad having used such expressions in his ordinary speech, or his having thrown light on its usage in the Qur’an. More importantly, none of his companions seemed to have asked him about it. These letters are usually used in the Qur’an when one needs to pay attention. The Arabs knew these letters but didn’t know them in this fashion and it caught their attention. Only Allah knows what their true meaning is. And do not mix the truth with falsehood or conceal the truth while you know (it). There are many ways of preventing access to the truth. One is to tamper with it or dress it up with colours of falsehood; half-truths are often more dangerous than obvious falsehoods. Another is to conceal it altogether. Those who are jealous of a believer will not allow his credentials or virtues be known, or might seek to vilify him or conceal facts that would draw people to him. When people deprive themselves of the light (of which we are ourselves witnesses), they are descending to the lowest depths of degradation. They are doing more harm to themselves than to anyone else. The Qur’an’s guidance for man’s conduct are plain and easy to understand and act upon. Is this not in itself an act of grace from Allah ? What excuse is there for anyone who fails? Both the pronoun ‘your’ and the verb ‘will ye deny’ are in the Arabic in the dual number. The whole surah is a symphony of duality which leads to unity. All creation is in pairs. Justice is the conciliation of two opposites to unity, the settlement of the unending feud between right and wrong. The things and concepts mentioned in the surah are in pairs; man and outer nature; sun and moon; herbs and trees; heaven and earth; fruit and corn; human food and fodder for cattle; and so on throughout the surah. Then there is man and jinn. ‘Will ye deny?’ That is, fail to acknowledge either in word or thought or in your conduct. If you misuse Allah’s gifts or ignore them, that is equivalent to ingratitude or denial or refusal to profit by His infinite grace. That day will be the day of woe to the wrong doers or rebels against Allah and his Truth described in two aspects and a day of joy and thanksgiving to the righteous, who are described in three aspects in verses 17 and 28. The rebels are described as being those who openly defy truth and plunged into wrong doing or who jested with serious matters. They were also those who did not have the courage to plunge openly into wrongdoing but who secretly indulged it. They were also those who wasted their life in doubt and petty quibbles. It is difficult to say which attitude did more harm to themselves and to others. However, the mercy of Allah is open to all if they repent. Meaning of both verses: And the companions of the left – what are the companions of the left? Note: There is a slight difference due to grammatical rules, but the meaning of the two verses are the same. Meaning of both verses: The companions of the right – what are the companions of the right? Meaning of phrase in both verses: And do not deprive people of their due and do not commit abuse on earth, spreading corruption. Note: There is an extra line in 11:85 but it is followed by the same verse found in 26:183. Here is an excellent video for further discussion on this verse. Bi’ithnillah this can be the beginning of Qur’an memorisation for all those who want to be future huffadh; a jump start towards a life-long commitment to understanding and living Qur’an. Always remember the best form of remembrance is the word of Allah and the best means to get closer to Him is through his own speech. 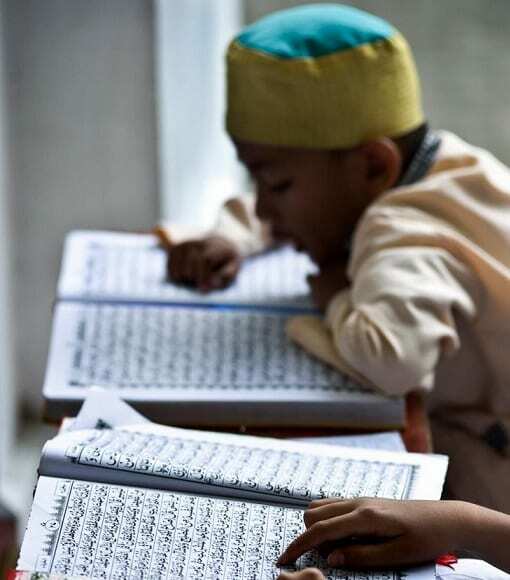 Masha Allah, how easy Allah has made it for us to memorise the Qur’an and increase our rewards. So let’s maximise this opportunity and make sincere efforts to learn these ayah, and benefit from the rewards of memorising 75 ayah from the Qur’an this Ramadan, In sha Allah.